Are you a US Expatriate working and living abroad? If so, your US tax filing obligations may become more complicated. Our CPAs have the specialized knowledge required to service your tax needs. Our head CPAs, Michael Kaplanidis and Tricia McCabe, are experts in the area of US expatriate tax issues. They take a holistic approach to tax service for US expats working and living abroad, and Foreign Nationals to the US. By examining each situation carefully, the Water Street tax team comes up with the best case scenario for our US expat clients. 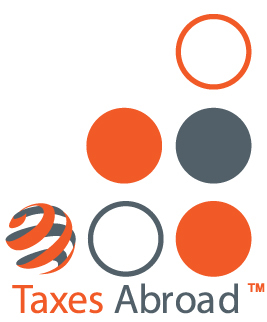 Due to the high demand we have with US expatriate tax preparation, our firm decided to launch Taxes Abroad in 2013, a specialized tax service that caters specifically to US expats working and living abroad, and to foreign nationals in the US. We help you prepare for your overseas assignment by running best case US expatriate tax scenarios in advance. We have solid experience with complex issues, such as IRS Amnesty Program relating FBAR disclosure, dual status returns, etc. We help foreign nationals to the US by researching the tax rules and treaties that may apply. We take care of your tax needs while you’re away from home! Whether you are working and living abroad in London, Paris, Tokyo, Singapore, Sydney, Dubai, Brussels, or if you transferred to any US city like San Francisco, Boston, New York, Washington DC, Chicago, or Miami – we work with you to service your tax needs. “Michael and Tricia, veterans of large tax and accounting firms, have substantial experience with US expat tax returns, took time to familiarize themselves with our current situation, answer questions, and to actually assist us in gathering information (as opposed to insisting we fill in the lengthy, time-consuming, endless one-size-fits-all type questionnaires we had received in the past). In their friendly, thorough and efficient manner, Mike and Tricia not only produced an excellent work product but turned, for us, what could have been a stressful situation into an (almost) enjoyable one.